An international cruise ship company asked Daugherty to help them revolutionize and streamline the process of checking in passengers. 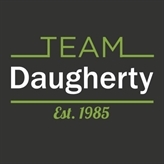 The Daugherty team developed the NextGen Embarkation system, including a mobile, gesture driven solution to manage the distributed team of check-in agents at the terminal, and a web-based configuration management tool for corporate and support staff. The mobile solution is a Windows Store app running on Windows 8.1 tablet devices. The web-based configuration management tool was developed in Java and AngularJS. Both the Windows Store app and the AngularJS UI communicate with NGE and 3rd party servers via RESTful web services. NextGen Embarkation has been a huge success for our client, enabling them to improve passenger check-in and boarding times from 45 minutes curb-to-ship to only 10 minutes curb-to-ship, a transformational and revolutionary change for the cruise ship industry. Team size – 1st phase – 15 Daugherty Employees. One of the largest multinational biotechnology corporations in the world was losing millions of dollars a year due to wasteful grain spoilages in South America. In countries like Brazil & Argentina, the distance between fields to processing facilities can take up to 48 hours, giving plant operators little visibility into the quality of the grain.